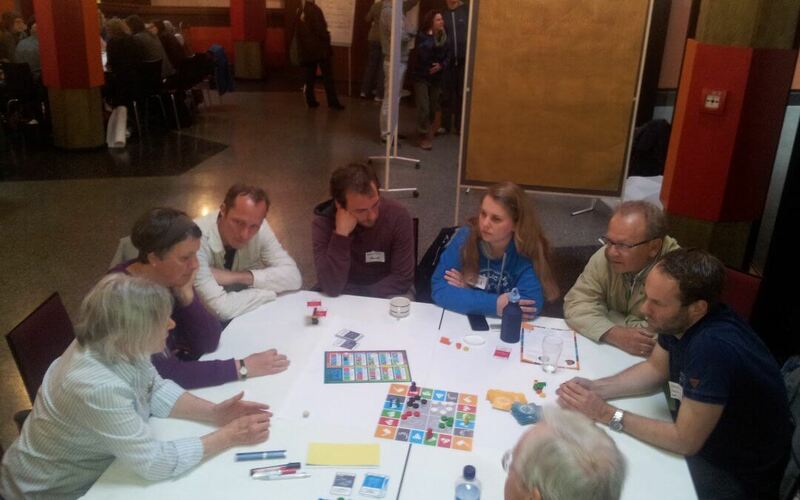 On 19 and 20 May 2016 a conference took place in Hamburg with the aim of creating a dialog between the movements for degrowth and basic income. Social justice is part of the claims for a degrowth society. A basic income is one possibility to establish social justice decoupled from gainful employment. At the same time this decoupling is a pre-condition to loosen the enforcement of growth on an individual level and to establish favourable conditions in society for socio-ecological transforation. A basic income therefore is a pathway to a degrowth society. However, a basic income not necessarily starts the ecological transformation that is urgently needed. Consequently, this basic challenge of the 21st century needs to be the compulsory maxim when designing a basic income and accompanying measures. The conference was filled by the multifaceted intersections concerning social security, democracy, alternative/solidarity economy and sovereignty of time as well as by your contributions.